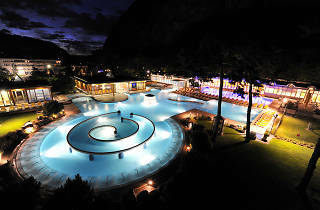 Relax in these scenic thermal baths surrounded by mountains. Half an hour’s walk from St Maurice train station, Les Bains de Lavey enjoys a tranquil and extremely pretty location surrounded by mountains. 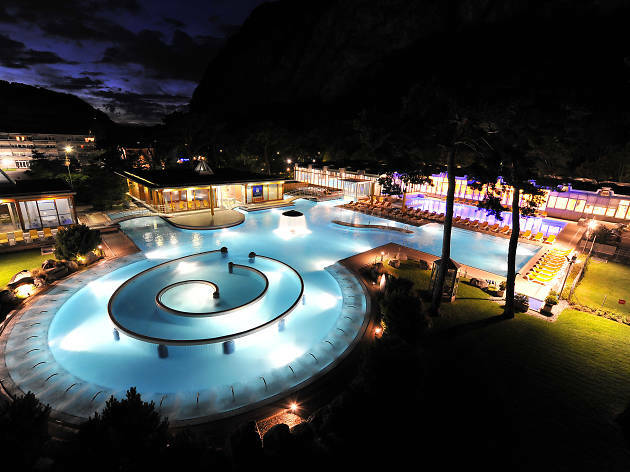 Drawing on the hottest thermal water in Switzerland, its large outdoor pool is equipped with various jacuzzis, massage water spouts, a mushroom fountain and a rather addictive whirlpool that’s fun to drift around in the strong current. Intersperse dips in the pool with stints in the hamman and saunas, followed by a cold shower or a dunking in the freezing plunge pool. Open all year and late in the evenings, it’s best to come in winter when the snow on the mountains and the steam rising off the pools into the cold air create a mystical atmosphere, particularly at dusk. It’s just a shame (depending on your point of view) that the relaxing, romantic setting attracts amorous couples who shamelessly flaunt their coupledom amid the jacuzzi bubbles.